Initial Coin Offerings or ICO achieved exponential growth in the last 2 years. Keep aside the entire venture capital funding; ICOs have emerged as the best and easiest option for fundraising. As per the reports, startups raised more than $5.6 billion through ICO launch in the year 2017. According to CrunchBase, the number of ICOS raised in 2017 and the first two months of 2018 is smaller compared to venture capital rounds announced by Blockchain and the Blockchain related companies. However, despite being smaller in number, the funding events initiated by ICO the launch on average attract much more capital compared to average venture capital funding rounds. During the last 14 months, Blockchain and related companies were successful in raising about $1.3 billion through worldwide venture capital rounds. Nevertheless, ICOs were aggressive raising nearly $4.5 billion during the same period. In 2015, ICO had a smaller market share. It was harder for a startup to raise million dollars through ICO. Only a few ICOs launched could hardly raise a million dollars and more. Nonetheless, ICO experienced golden days in the year 2016 when DAO raised $150 million in just a few days from its launch. However, the same project was plagued with security issues, later SEC found out, it was violating the security laws too. But, the speed at which DAO raised funds created history and marked the start of an ICO launching era. Evidently, Blockchain based ICO products displayed ease, simplicity, security, and potential to divert the attention of major businesses towards ICO launching projects as a sales or funding model. 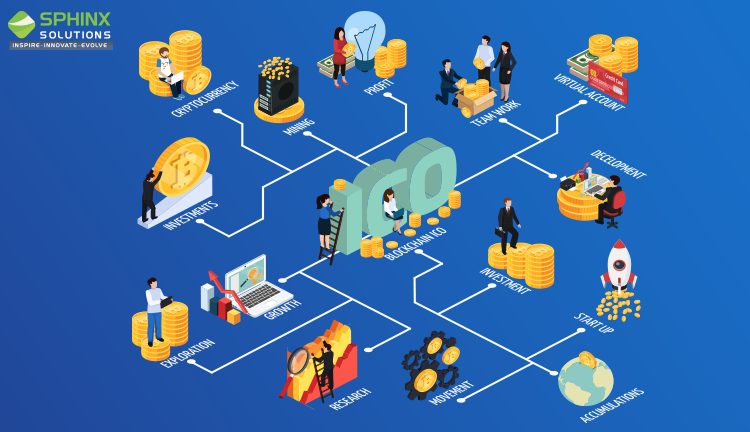 Before diving deep to understand how ICO works, it is necessary for startups to understand what ICO is – ICO is an online cryptocurrency version of the crowdfunding. The ICO campaign is launched for a certain interval and investors may purchase tokens exchanging for available cryptocurrency only within the specified interval. Each token is prefixed with a specific price; guaranteeing a surge in the initial price of the token after the proposed project goes live and earns a reputation. ICO follows a typical cryptocurrency environment, allowing investors to trade or sell these tokens, which reflects how the company performs to contribute great fluctuations in the value. The funds thus collected through ICO launch are then utilized with some features to launch, manage and grow the proposed project. Now let’s consider how does ICO work. This is the first phase and is an early announcement about the project and procedure made to ignite the interest of investors. During this phase, ICO launchers give presentations along with an executive summary of the project to explain its purpose and objective. With every presentation, ICO launchers get reviews from investors. Analyzing the review, which might be positive or negative helps in the Launcher to iterate the presentation and scope of the project ensuring it meets expectations. A repetitive process lasting for about a month, resulting in a project presentation satisfying everyone involved. Only then, the investor’s start showing interest and start investing in proper agreement. The offering represents the second phase of ICO launch, which is a declaration about the transactions that will occur during and after the ICO launch. It covers everything from partners, token generation, token expenses, fund allocation, targeted amount and the expected outcome of the project. Detailed information about the tokens and its sale, trade, use, price, and other things are covered in the offerings. The business proposal also involves all the related rights owned by a token of particular value, accountability of the investor in the form of dividends as well as start and end date for ICO token sale. PR or digital marketing campaigns play a major role in ICO launching as it markets, attracts, and forecasts the present and future of the ICO project. A thoughtful and informative PR campaign that lasts for approximately a month helps ICO launching companies and persons to reach small and big investors and customers from every category. During PR campaigns, the primary focus has to be angel investors as they are more interested to associate themselves with some promising business ideas. At the end of PR campaigns, it is the time to start the buying and selling process of ICO tokens. The moment ICO is launched, investors or customers can be a part of your project by exchanging cryptocurrency. Sale of tokens after completing all the processes is the final stage of fundraising. However, there are two approaches using which an ICO project furnishes successful ICO sale. The first way is to launch ICO sale after securing a bare minimum amount that has been defined in the proposal and then, dividing the sale of token amongst various investors in a specific ratio. The second way is to sale ICO token at the time of cryptocurrency exchanges – for this process to take place, ICO launchers have to pre-release the tokens so that exchanges can take place based on many other cryptocurrency exchanges. The second method is similar to the traditional IPO process. What’s in it for Startups? The traditional way to raise funds is about pitching business ideas, giving presentations, and compromising with investors. Although many startups believe and practice it to raise funds, ICO definitely has emerged as an option to this traditional crowdfunding method. 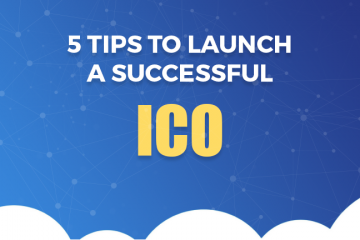 Startups must consider the ICO launch as a unique opportunity to witness their project developed and established. It does not matter to which domain your project belongs; remember a killer business idea always has the potential to become next Uber or Airbnb. However, this blog does not assure anyone that ICO is better than venture capital, but focuses on urging startups to try ICO as it gives better control over the funding process and startups can access contributing creative minds interested in growing businesses. Tokens are at the heart of an ICO project. It is due to the Bitcoin success and the innovation we achieved in cryptocurrency or digital currency, we could generate tokens and lunch an ICO. Startups have the liberty to create tokens either by using the existing code or by writing new code. Remember, the number of tokens you want depends on the aim or scope of your project. If you prefer Ethereum platform to develop your ICO, then you have the leverage to access “Template Token” called ERC20 offered by the Ethereum platform. It reduces the efforts, making it trivial to define the token. There is no need to write a code for launching ERC20 token. Paying a small fee for every transaction ensures token runs well on the Ethereum Blockchain. Until recently, there were almost no regulations over the ICO market. Apparently, ICO was looked after as a fair field of money laundering and Ponzi schemes. The perception of the legal uncertainty in the ICO was due to the fear of losing everything or fear of missing out. But, for the last two years or so regulating ICO environment gained momentum, countries and their regulating authorities are embracing and welcoming ICO and cryptocurrency environment. Additionally, the building blocks of the Blockchain – Transparency, and Authenticity helped ICO re-establishing the trust of investors. It is mandatory for every startup to have strong legal support backing ICOs the time of its launch. Cryptocurrency has been an amazing source of innovation on both fronts – technical and business. As ICO environment is still in its adolescent stage, many are taking advantage of this young platform to get rich faster, which is not right. With time, startups will start to get clarity about terms of regulations, investors will get clarity about what they are buying, and entrepreneurs will get clarity to adjust their ICO models to accommodate realistic funding sequence. Undoubtedly, ICOs represent a very innovative way of raising capital. With ICO, you get access to a larger audience with fewer risks, no dilution risks and an easy way out, unlike Banks or VC’s. In addition, the fluidity of investment that allows investors to spend or trade tokens, the opportunity to speculate the tokens once they are listed along with the transparency and authenticity it provides makes it an attractive investment option for investors and a medium of crowdfunding for startups. Having worked with many ICO startups right from scratch to ICO sale, our clients call us the pioneers in ICO Launching services. We will not only ideate your ICO product but will also help you to launch and market it. Contact us if you need any assistance to launch your ICO. Ionic Vs. React Native - Which Framework Is Better for Cross-Platform Mobile App Development?